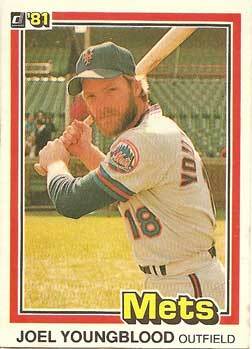 This is a copy of one of the first baseball cards I ever owned. I never really collected baseball cards before 1988, when one of my friends (who did) convinced me to pick up a pack of Topps cards. 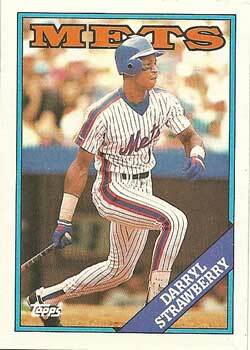 The only two cards I remember from that pack were Strawberry and Don Mattingly. Since Mattingly was his favorite player, I let him talk me into trading it for some older cards… I think Dan Quisenberry and John Tudor rookie cards, but I really can’t say for sure 20 years later. I still have the Strawberry card, of course. I have absolutely no recollection of this set. I wasn’t collecting in 1997, but I must have seen some somewhere along the way. Poor Rico didn’t seem to have the best luck with Donruss photographers, but at least this one seems marginally more flattering than the shot used in the Studio set I posted Monday. I love the beard. The posed photo? Not so much. The boring set design? Not at all. 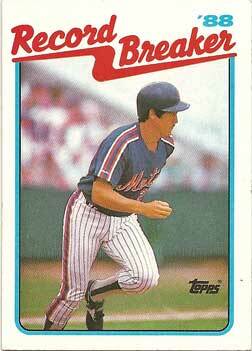 But if it wasn’t for this Donruss set (and the equally ugly 1981 Fleer cards), we might still just have one Topps base set and whatever oddball things they came up with to collect. I love Sportflics! Too bad I can’t figure out how to get the to scan nicely. I never could figure out why they didn’t catch on. Maybe it was the three-card pack for 75 cents when everybody else was offering 10 cards for 50 cents? More likely, its another sign that I’m weird. No particular reason to post this one; I just like the photo. Sid drove me nuts with his five & six inning starts, but he would probably be a huge star if he were pitching now — at least as long as he didn’t end up pitching in one of those bandbox ballparks. 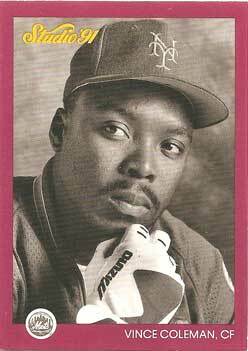 During the early 1990s, Jeff Innis was my favorite Met. I’m still not quite sure why I picked him, but it probably had something to do with him going out there, doing his job and not complaining to the media. 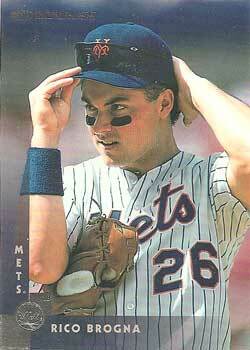 (This may not sound like much, but remember how bad the early 1990s Mets teams were — on the field and off.) 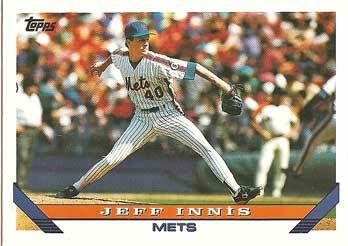 If I ever get around to scanning my Jeff Innis collection, I’d probably have the best one on the internet — except for one Topps Tiffany card, I believe I have a copy of every card issued for him. 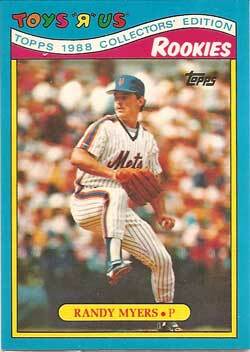 Kevin McReynolds was not one of my favorites, but there’s no denying that he had talent. 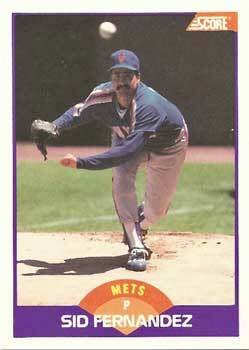 This card feels like a bit of a stretch for Topps, though. McReynolds was never a huge star and the record he broke was relatively obscure. (Can anybody remember what it is?) To add further insult, the photo is pretty terrible. Vince looks like he’s trying to figure out what else he can do to anger Mets fans, doesn’t he? I wouldn’t mind seeing the Studio idea revisited for an insert set. Some of the studio photography shots are neat to see, though I wouldn’t want to look at an entire large or medium sized set of them. 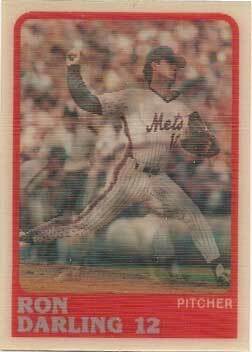 One last card: In the late 1980s, it seemed like nearly every store had some kind of “limited edition” box set featuring all-stars, rookies or some other theme. I don’t remember seeing this one, but I’ll have to check to see if I have it. Thanks for the great trade, Bo!